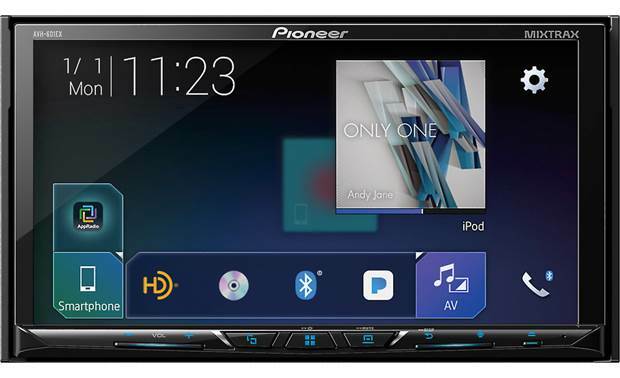 Why put a large-screen receiver in your dash? 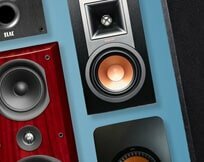 Fantastic looks are a great starting point, but there’s so much more you can get from a double-sized stereo. You can see all the information you need at a single glance, making it easier to keep your eyes on the road. You’ll also have expansion options like navigation and a rear-view camera available to you in the future. 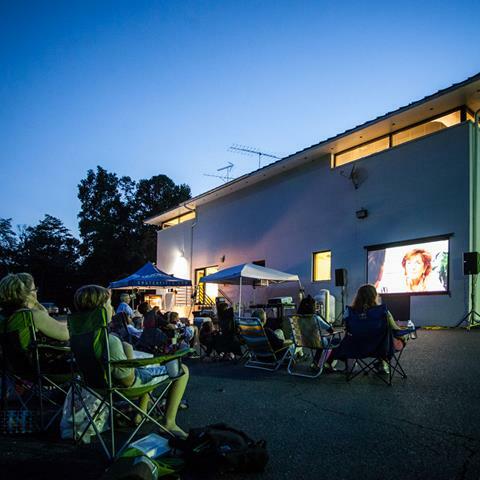 A rear-view or backup camera can help make your double-sized stereo a valuable tool against accidents, because you never know what you’ll see behind you — a pet, a tricycle rider, or even Bigfoot (he’s really shy). Its wide field of view offers a whole lot more of what’s behind you than using your mirror, and you won’t have to turn your head. 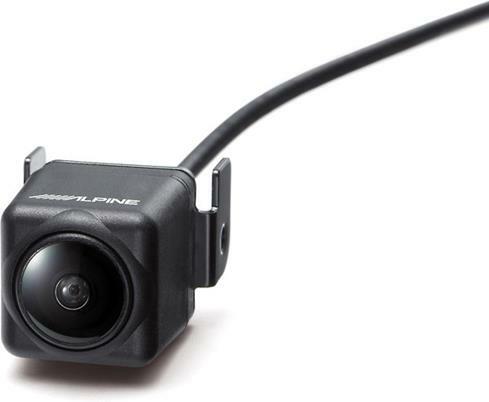 Alpine’s HCE-C305R camera with Active View offers an added degree of safety over ordinary cameras: alerts for moving objects behind and to the sides of your vehicle. 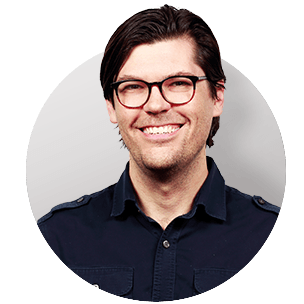 You’ll see the items outlined and tracked as they move across your screen, and hear audible alerts that increase in frequency as threats get closer to your vehicle. Four different viewing modes ensure you’ll have all the angles covered. 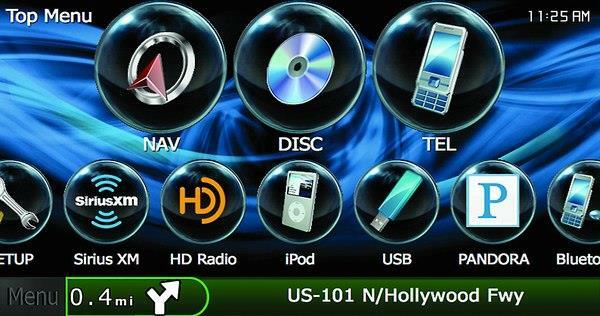 Plus, it's a universal fit—it works with any brand of aftermarket receiver with a camera input. 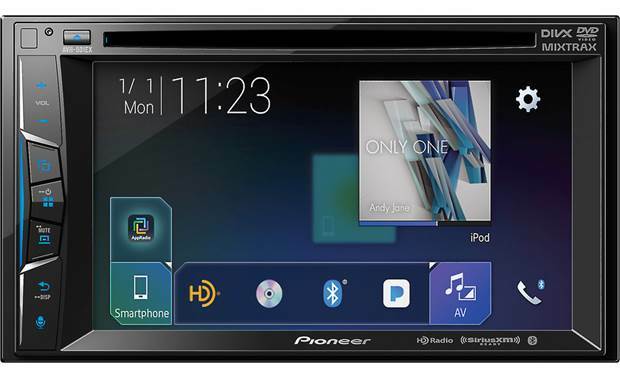 With a large screen acting as your receiver's display, it's a whole lot easier to read than the 2- or 3-line displays of typical car receivers. You'll enjoy being able to read more information about what you're listening to. Bigger icons, split-screen capability, and more screen real estate add up to a satisfying car audio experience. You'll be able to keep your eyes on the road a whole lot better if you're not squinting at your display, or waiting for the info to scroll by. 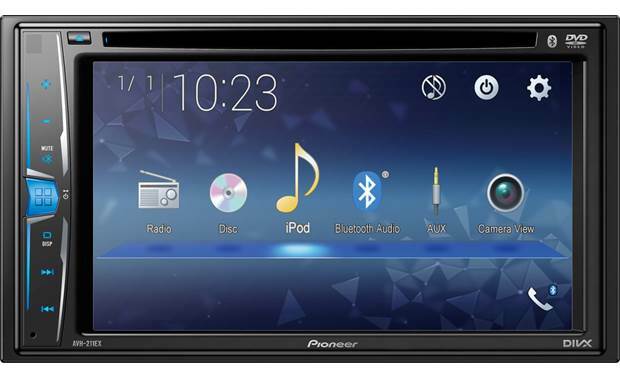 In fact, everything you do with your receiver is easier when you have a large, touchscreen interface. Here are some examples of how these receivers can make your drive much easier. Bluetooth lets you enjoy hands-free conversation using your compatible phone. You’ll be able to see caller information instantly with a big screen in your dash, so you can keep your eyes on the road and your hands on the wheel. Some receivers also allow audio streaming from phones. Get a better map view than phones or most portable navigators can deliver. And if your receiver doesn’t feature built-in navigation, you might be able to add guidance with an outboard unit, or connect to an iPhone app like MotionX-GPS Drive that works over 3G signals. 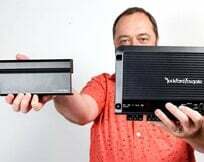 HD Radio broadcasts sound great, and a double-sized receiver provides way more info than a regular stereo. You’ll see album art and station logos from select broadcasters, plus song, artist and album info. And you can tag songs for later purchase from iTunes® right on the radio. One of the main advantages of any big-screen receiver is the ease of going through the menus. 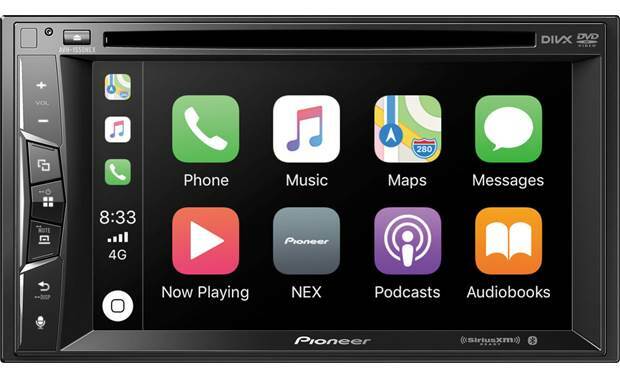 Whether you’re looking for a song on your iPod, a favorite satellite radio station, or the EQ settings, a big, colorful touchscreen makes finding functions intuitive and simple. If you're toting your family around, the "dual-zone" capability that some receivers offer lets you separate the rear-seat entertainment from the front. Your backseat passengers can listen to their tunes or watch movies on a second monitor, while you listen to the ballgame up front. 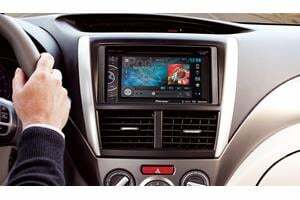 When you're shopping for a car stereo, consider the benefits of getting a touchscreen, navigation receiver. 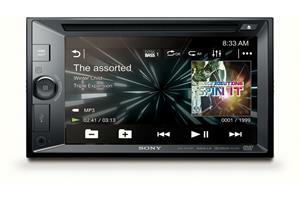 And if you don't need built-in navigation, DVD receivers and digital media receivers are less-expensive options. Regardless of which you choose, the elegance of touchscreen control makes them easy and fun to use. 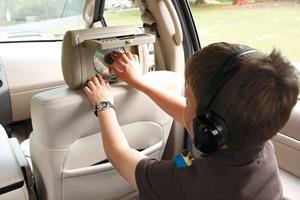 Use our handy vehicle selector tool to see which stereos will fit your vehicle. I think touch screen controls are a safety hazard. They require you to take your eyes off the road for many seconds an in some cases over a minute to drill down many levels of controls. I rent cars almost every week in my business travels and have not found a touch screen that I can use without taking my eyes off the road. I'll keep my 2005 GMC Sierra. I can do everything by feel without ever taking my eyes off the road. "You can see all the information you need at a single glance, making it easier to keep your eyes on the road" In practice, they do the exact opposite. Because the user interfaces (UI) do not have to adhere to any standards, no two screens are the same. You can never rely on muscle memory or even tactile feel to navigate the device. EVERY interaction requires looking at the UI and finding the bit you have to touch. This can take seconds, which is time away from the primary function of driving a car. Even the benefits of a reversing camera are dubious when you are focusing on one screen to the detriment of the mirrors all around you. We have a touchscreen in our Outlander and I doubt I will ever get another one. Hi, I am 16 and just getting my first car. I have found a touchscreen in the car very useful in the past and just wonder if it is legal for me to have one. I have looked all over and not found a specific law about screens and just want to double check before looking into investing in one. Kylee, unless there are specific laws in your state regarding younger drivers and touchscreens, those types of radios are legal everywhere. Your best bet may be to contact your local DMV to confirm. It's worth noting that it's illegal to have a video playing in the front of the car in every state. 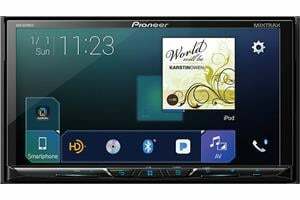 That's why touchscreen stereos must be installed properly so that some functions are restricted and won't work unless the car is parked. Casey, they do with the proper adapter. I've passed your question along to an Advisor. Someone will contact you soon to help. My wife has a 2011 Chevy Cruze. All of her climate control settings are displayed on her OEM head unit. Do any of these stereos have those functions? Scott, I've passed your question along to an Advisor for the best answer. Someone will contact you soon to help you find a receiver that's not a distraction. Adjusting your receiver settings will likely be part of the solution as well. I have ADHD these displays are a complete distraction. How do I purchase a new vehicle that does not have one. Or one that the screen is not able to be used and only displays the clock when over 25mph? 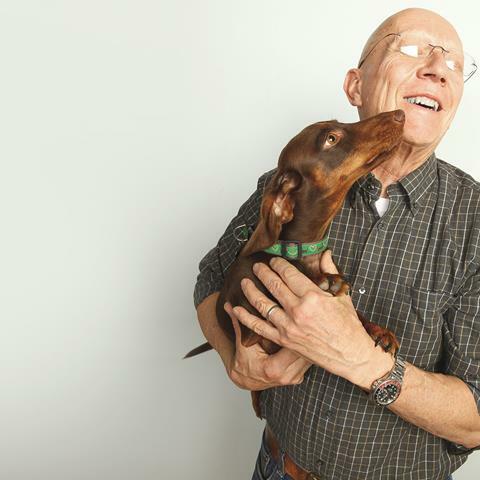 I agree with Merwin! Touch screens in cars are a safety hazard, regardless of their size. Tactile buttons are far safer. I'm a bit disappointed in Crutchfield for publishing an article that says otherwise, and in manufacturers for abandoning the safer designs. I'm completely baffled as to how this trend has been ignored by safety regulators. I have complained to the manufacturers of every car I've bought that had a touch screen in it, and I can tell you now that I will never buy an after-market car entertainment system that can't be completely controlled by tactile buttons. I miss my 2003 Jetta with the Monsoon stereo, the last SAFE car stereo I've owned. Something people might think of, if they're worried about touch screens being too distracting, is a phone with Google Now or Siri. "Hey, Siri, play the Beatles," starts up within seconds. "Play Mozart" or anything else you want will start up, and if you do it while watching the road, you're safe and happy with your musical choice. At a stoplight, I'll tell Siri to send a message to my friend Lisa. It's off before the light changes. Tara, unfortunately, we don't recommend radio replacement for your vehicle. Give us a call and an advisor can suggest alternatives to improving the sound in your BMW. I have also observed that touch screens require the driver to focus on it longer to accomplish tasks than buttons. A much bigger distraction from driving. and far less safe for that reason alone. Try to make a selection and hit a bump - now you need to spend time looking at the screen again to figure out what you selected instead and correct it..... Once again, distracted driving. Give me pushbuttons any day. Tactile feedback is superior! I am concerned about how long a touch screen in a vehicle will last. We are looking at buying a new Honda Odyssey (2012-2014) and then driving it for ten + years. I have never had a computer last ten years and thus I am concerned a touch screen would break or be a major repair eventually. I'd rather save my auto repair budget for mechanical issues not a cool touch screen. 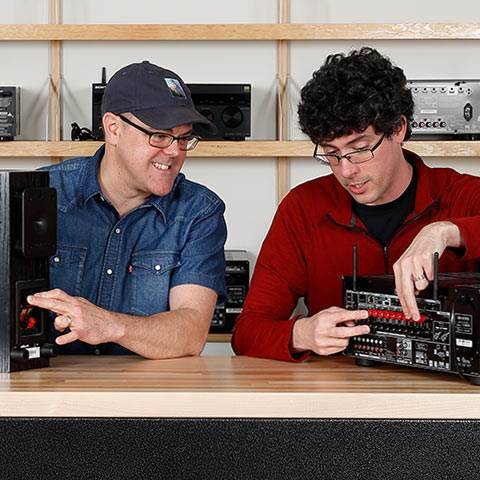 John, if you have a factory sub, there is an amp powering it. Your sub and amp are located in the cargo area on the passenger side. I've passed your question along to our sales team. An advisor will contact you soon to help you find the right gear for your Ford. We have a 2007 Ford Escape Limited. How do I tell if the vehicle has the amplified bass? The 6-cd changer on the factory radio has a broken gear and I am told it can't be fixed. 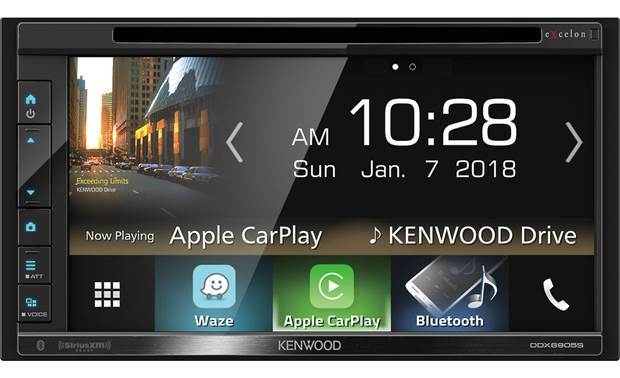 We're thinking of installing a radio with a screen so we can have a backup camera. 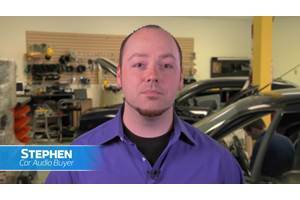 Alvin, a variety of touchscreen receivers should fit your 2006 Civic. 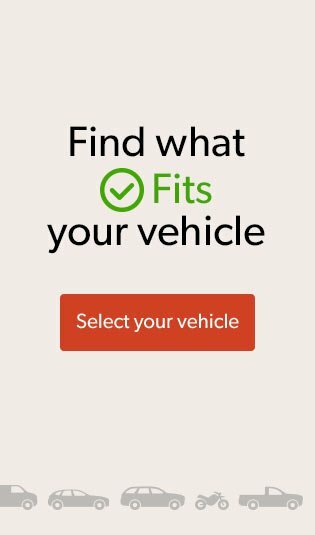 You can use our vehicle selector to confirm which stereos fit your car and get some info on what else is needed for the installation. Hello, can any of these touchscreens radios/receivers fit in my 2006 Honda Civic Coupe? Brent, I've passed your question along to our sales team for the best answer. 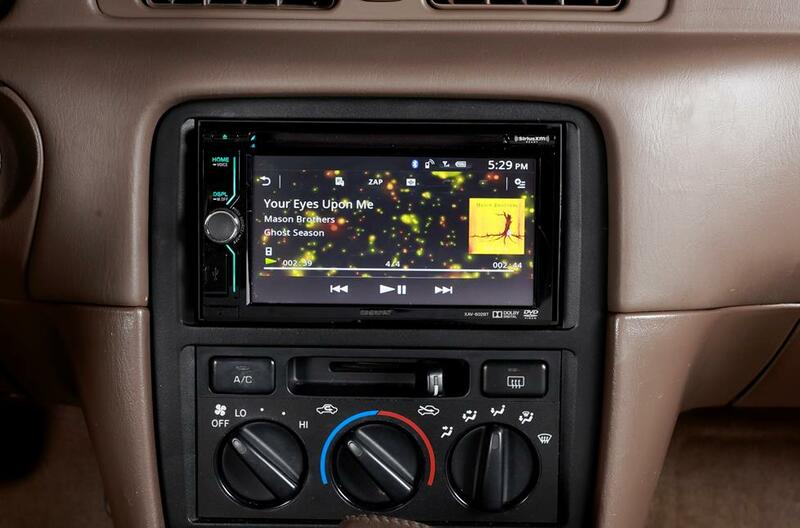 An advisor will contact you soon to help you find the car stereo that's right for you. 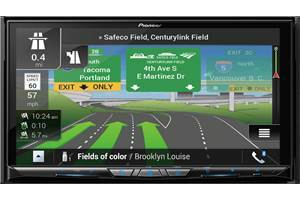 Hey, I'm curious is worth switching out my 2015 kia forte sx model factory HU with nav system and back up camera for high end after market, I have kicker components Kc series and spr 69 rear and powered by pdx4 and alpine mrx 1100 with two 10" alpine type r plus cap. Your thoughts ?? Sabine, I've passed your question along to our sales team for the best answer. An advisor will contact you soon to help you find the right gear for your Accord. I have a 2010 honda accord ex-L with navigation, but it is not touch screen, Is there any way I can keep the factory navigation and add a touch screen interface on the dashboard near the air vents? ideally, I would like to use both. Robert, I've passed your information along to our sales team. An advisor will contact you soon to help you find the receiver that's right for you. 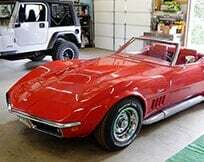 I have a 2010 ZR1 Corvette. It's Time I upgraded the Receiver. I need Bluetooth, Navigation, Ipod ( Aux Jack) ,DVD and backup Camera. What Options do I have?Who can Install it? Thanks. Dave, I'm afraid there isn't an aftermarket satellite radio antenna that you could swap in and out of a factory connector when you need it. 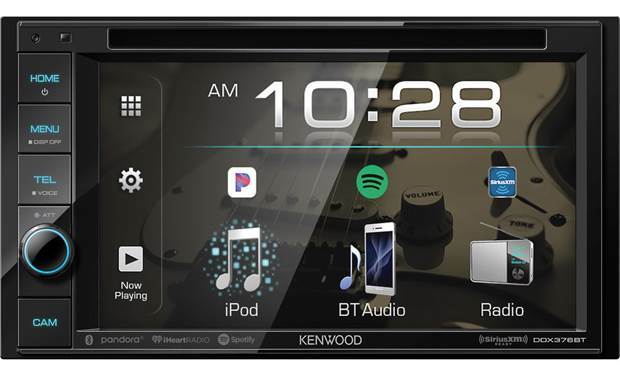 Your only option is to replace your radio with a SiriusXM-ready receiver and additional SXV300V1 tuner, or add on a dock-and-play radio. Both will come with an antenna that will give you the length you need to adjust placement when you have your camper on or off. In that scenario, you wouldn't use your factory-installed satellite radio antenna at all. How can I access the sat radio antenna on a 2015 f350 to allow an after market antenna to be installed that would allow playing the Sirius sat radio when I have a cab over camper on the truck blocking the sky. Ford is no help what so ever. Older model trucks used to have access behind the glove box but not any more. Most of the time the sat radio is a waist of time. There has got to be something that will work. Just want to listen to what I'm paying for when I have the camper on. 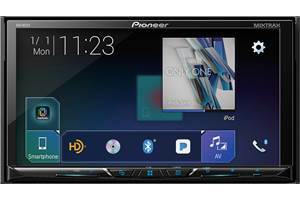 Bill, we carry the comparable Pioneer AVH-270BT DVD receiver. 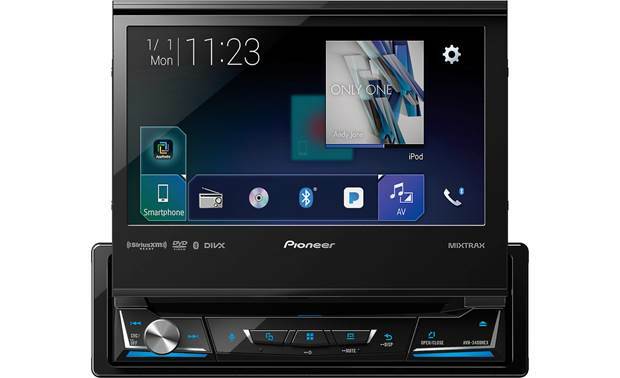 How much does a pioneer car stereo model #AVH-271BT cost? 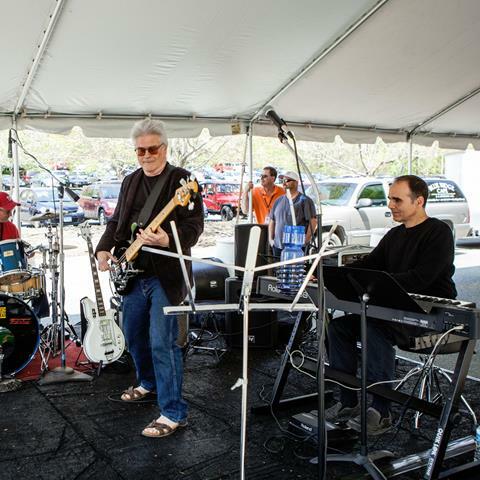 Wayne, we have researched a good number of Toyota's 2015 vehicles, but not all. 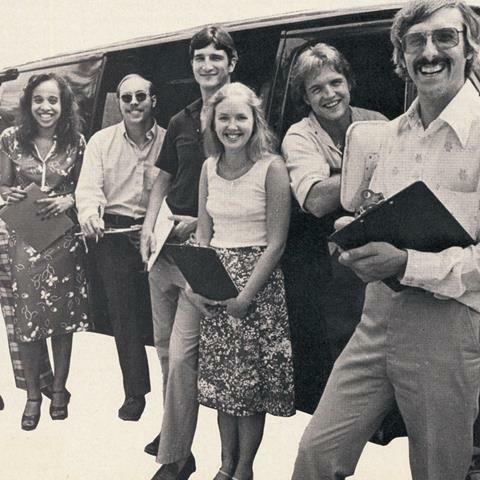 Give us a call at 1.888.955.6000 or enter your vehicle information in our vehicle selector. 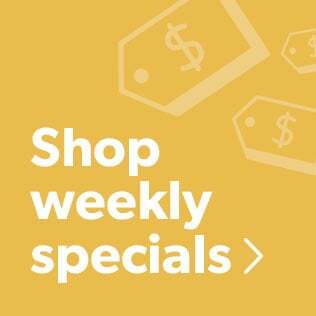 If you purchase a receiver from us, you'll receive instructions on how to install it if we have researched your car, you'll receive free lifetime Tech Support to help you with your installation, and you'll receive a deep discount on any related factory integration gear. I need a Head unit with all the features. I just returned a unit which there was almost no info and support from the busines. 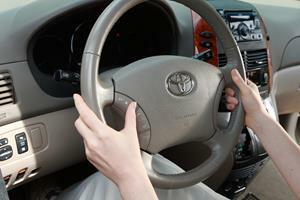 Do you have eniugh info on the 2015 Entune Audio unit from Toyota? I have: AM/FM- CD/DVD-STEERING WHEEL-BLUE TOOTH-R-CAMERA-USB/AUX. I NEED NAVIGATION AND IF WIFI WAS IN IT IT WOULD BE OK. I will be instaling this myself, I just need good instructions. The double DIN DVD receiver that was in my car when I bought it was nice as long as I didn't listen to satellite radio. Every time I switched to the AUX input the screen would go black and display a message telling me that I couldn't watch videos while the car was in gear. I couldn't get anything else, and the company that makes it told me it was a safety feature to keep me from killing myself watching videos instead of traffic. They told me that the backup camera plugged into the AUX input and there was nothing I could do about it. I could still listen to Sirius, but it wouldn't tell me what I was listening to. I no longer have that receiver. If you're buying one of these, you may want to check on this.